Computer Visions puts the customer first when it comes to technology training. In an industry dominated by large conglomerates and franchises, Computer Visions is the only locally-owned, and woman-owned, computer training center in the Capital Region. As a VUE and MOS Testing Center, you can take almost any authorization exams at our comfortable, well-lit, authorized testing facility. 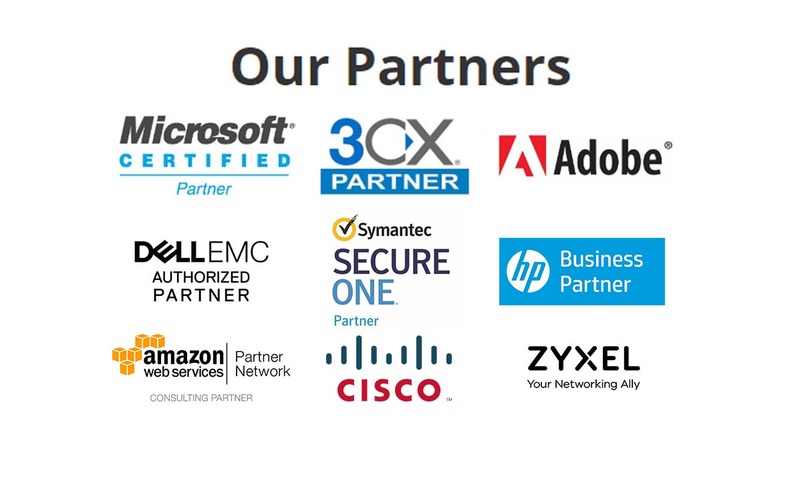 We are also a Microsoft Certified Partner for Learning Solutions as well as an Official Microsoft Solutions Provider, so you know the training you'll get here will be top-notch, guaranteed. And because we believe so strongly in quality, we use vendor approved training manuals to ensure high-quality classes. Need space and equipment to conduct specialized presentations or classes? We can help with flexible equipment and classroom rentals. With our world class classrooms and state of the art projection and presentation equipment, we take care of the details so you can have a successful presentation. Learning in and beyond the classroom is the focus of Computer Visions' training. Effective classroom training provides increased ROI (Return on Investment) when learning continues outside of the classroom. Computer Visions classes are designed to facilitate continued practice, exploration, and growth. At Computer Visions you will never walk into a classroom to be greeted by a television screen. You will always have a trainer with you in the classroom when you join us for class! 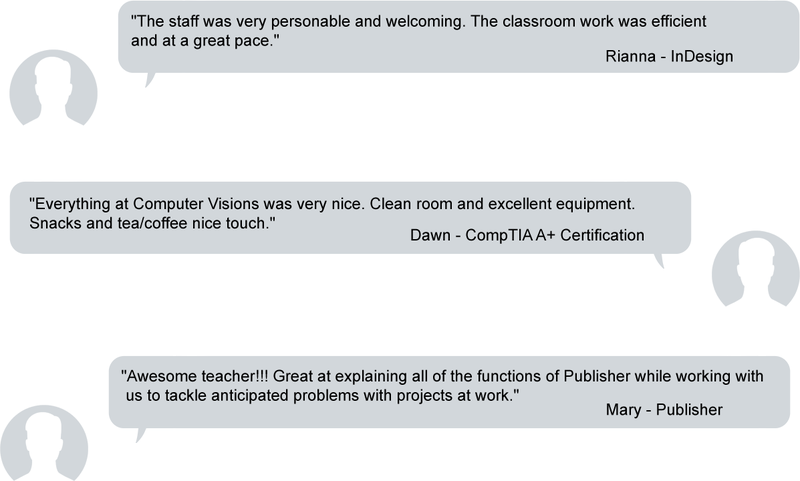 Computer Visions’ trainers are not only technically proficient, but are skilled communicators. They know how to make novice users comfortable with technology and turn advanced users into “power users.” Best of all, they truly make learning fun! Computer Visions provides each student with a manual developed for instructor-led training. The course materials are userfriendly and provide easy reference when needed. Each manual includes documented concepts, hands-on activities and quick tips. Students can take FREE refresher courses to further the “beyond the classroom” learning process with the opportunity to refresh the skills they learned in class. FREE, unlimited technical support Monday through Friday. Whether by email (vision@compvisions. com) or phone (518-437-1600), the answer to your technical or general question is right at hand. Computer Visions can provide its excellent training at your location. Effective classroom learning in familiar surroundings! We ensure training integrity with small class sizes. No gimmicks can replace personal interactions to facilitate the learning process. We will price match competitors’ pricing for a private class. Contact us to get the best pricing possible for your training needs! When all is said and done, Computer Visions guarantees customer satisfaction!